I think I mentioned that Steve did the majority of the driving on our trip to Baltimore. Two days each way, about 11 hours a day. I drove 4 hours, max. The rest of the time I worked on my Macbook Air*, my iPad (to connect to the web, check and respond to emails…), and on my iPhone (making calls). If you didn't know already, I do love my Apple products. And just in time for next Christmas, Reindeer Playground. 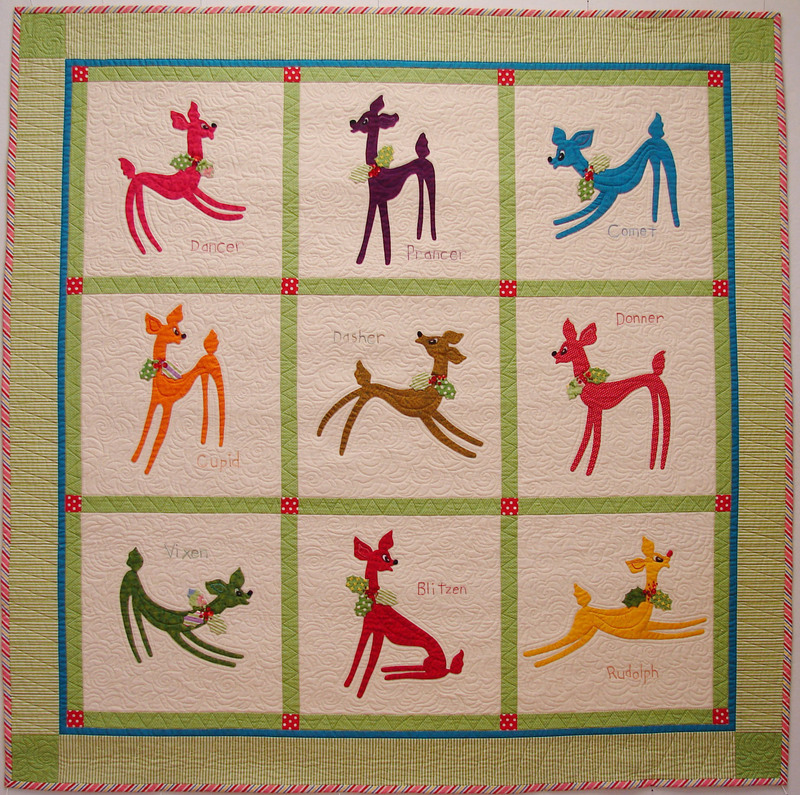 This one was in our book, A Piece O' Cake Christmas, and it's on the DVD Learn to Applique The Piece O' Cake Way. AND I worked on my AAQI challenge quilt. In fact, I embroidered on it through most of Jeff's graduation. I don't think I'll ever go to a graduation without handwork again. I'm really loving it. 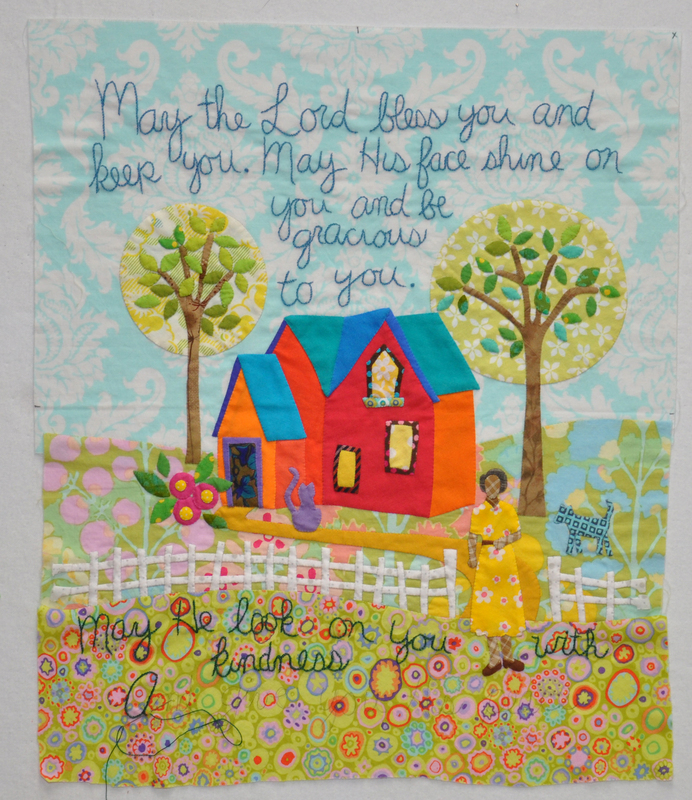 I still have 2 borders to applique and then I need to quilt it. I should just forget sleeping altogether but that's not going to happen. *Side note: We bought a cool car adaptor like this a few years ago. It plugs into the car's power port (or cigarette lighter for those of us old enough to call it that). You can plug a regular power cord into it. It will even accept a 3-prong power cord. That's how I kept my laptop running. And, for those of you who've read this far, I am getting fabric in. I'll be putting it on the site over the next few days. Watch the menu bar for Fabric. I orders a few Christmas prints that I just could not pass up. There are some fun dots coming and one big print. Soon I'll let you know about the big print of the every other month club! I love this quilt Becky. Sounds like you were very busy as the passenger, no billboard bingo for you! Wow, I really love this quilt! I love these clear bright colours you have been using. And it’s great to see some Kaffe Fassett fabrics too! 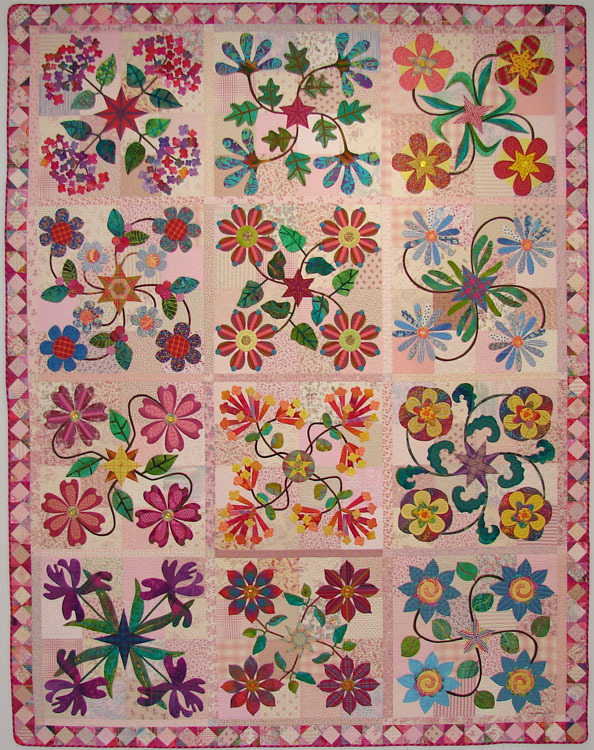 And it looks like a beautiful theme for the quilt as well. Gosh. Can’t wait to see more! Wow, I really love this quilt!